Shooting in manual mode quite simply gives you more control over your environment and the light that is let into your camera. If your subject is moving really fast, you can adjust the shutter speed so that you are able to freeze their motion in place. Or maybe you want there to be some blur in the photo to show the movement of the subject (for example, the flow of a waterfall). There are many reasons why you would want to manipulate the lighting in a photo and manual mode allows you to do that. Here is a guide about what gear to invest in and the most fundamental tips for kick-starting your new hobby. 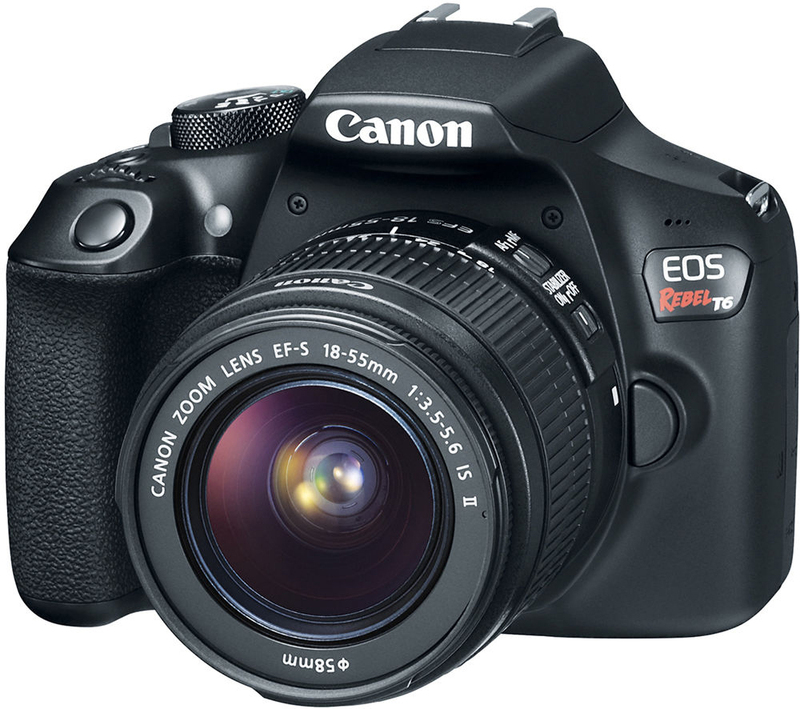 Other great models in the beginner-orientated price-range are: Canon EOS 100D, 70D, 600D or 60D. In the majority of cases the cameras themselves are identical – only the nameplate on the front is different. But there are a few minor differences here and there. Note that Canon introduced their current numeric system – smaller numbers = more expensive cameras. What´s the difference between the beginner-orientated price-range cameras and the more expensive once in the advanced/pro category? It may be many small details, but the main differences are ISO + focus points. ISO determines how sensitive the image sensor is to light. The more expensive cameras have a high ISO and because of that it will perform much better in low light conditions. Their autofocus systems are extremely rapid and are more accurate than those of lesser cameras. Cameras in the higher price-range also tends to have more focus points to choose between which basically means you can be very selective with where you place your focus (which will be the sharpest area in the photo). Another important difference is that the expensive camera often are a full-frame camera. The cheaper models are called crop cameras. The difference between the two is this: when you look into the cameras viewfinder you will see much more of the scenery in the frame than with a crop-camera. Canon EOS Mark 6D, EOS 7D Mark II, or EOS Mark 5D IV. There are so many different lenses on the market. Each one of them serves a specific purpose, depending on what you are photographing. If you are not careful, you can quickly end up spending a bunch of money on lenses. In reality, the truth is, that you can manage with one lens (more or less). That lens is the 50mm. I recommend it to all my students. It´s perfect for beginners who need a little help creating those beautiful images but also perfect for the advanced photographer who needs a workhorse of a lens. 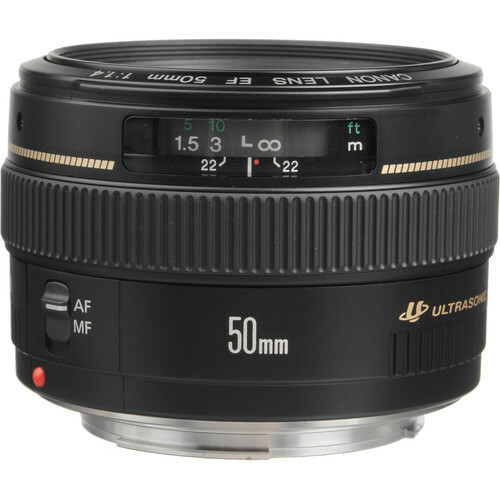 The 50mm lenses come in different price levels and qualities. The best choice is the 50mm f/1.4. It cost about $345 which is cheap for a good quality lens, and you can use it for food, flowers, interior, travel, kids, portraits, newborn and landscape. Another great thing about this lens is that it´s small and lightweight and, therefore, perfect for traveling. The 50mm f/1.4 has a big brother, the 50mm f/1.2. It´s a lot more expensive, but you will not see much difference in the image quality + it´s very heavy. The 50mm f/1.4 also has a little sister; the 50mm f/1.8 which is a lower quality but great if you are on a budget. It’s perfect for teenagers, bloggers and beginners who want just the basic equipment – but still wants to be able to capture creative + bright images. You can´t zoom with the 50mm because it´s a prime lens and it has no zoom function. You have to zoom with your feet, but you will get super sharp images with a clear focus and a delicious soft background. Below you see the 50mm family from Canon, but all camera brands make at least one 50mm. The 90mm for macro and food. The 30mm and 40mm for interior. White cardboards or a reflector to open up shadows. A secure camera bag for easy travel with your camera. Filters for the lens. Helps to block highlights and reflections out. Different surfaces and backgrounds for photographing still life/people. A tripod (I like Manfrotto). Today most photographers use Lightroom and Photoshop to edit their images. I do most of my “clean” editing in Lightroom, and add the creative element and skin retouching in photoshop. Via Adobes Online Editing Service you can get a membership that gives you access to both programs. You pay a monthly fee to join and you connect the membership with more that one computer. In my workshops I teach you how to use both Lightroom and Photoshop. My tutorials are SUPER easy to follow and understand so you can get quick + amazing results – even if you are new to the editing programs. This I have been struggling with for the past 2 years. My journey as a photographer began because of my children - like many other photographers. I studied how to use my gear, learned how to find the light, practiced posing, composition, connection, styling and grew as a capable photographer. People began asking me to shoot their families and children, and suddenly I was a photographer charging money. however, somewhere along this road I got lost - I lost my passion and determination - I was no longer photographing my children - but other peoples children. Personal projects are an incredible way to awaken your soul and promote creativity. When there are no rules or parameters - you have the freedom to just create - to make mistakes with no consequences.